Today, we power 2.98 million (17.4%) ePOD vehicle deliveries annually. 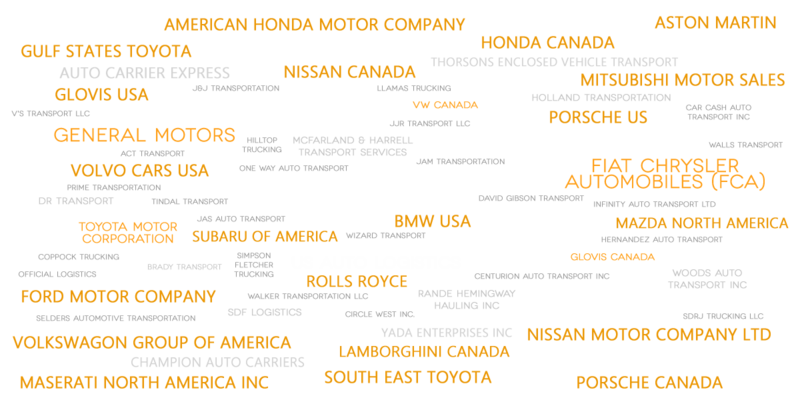 Our cloud platform faciltates Automotive Logistics trade by connecting 1000's of Auto Shippers, Auto Carriers, subhaulers and Delivery Agents together in real-time. The result. Shippers gain capacity, Carriers gain freight. Everyone gains visiblity, control and data. Everybody wins. CDN customers are changing the way technology is used in automotive logistics, together we are challenging the status quo. Starting with the paper based proof of delivery, we have redefined how a vehicle is delivered to a dealership and in the process released valuable online and real time information. We have connected new technologies to existing systems and enhanced and improved the way our customers do business. CDN's award winning mobile application - vinDELIVER - is available to any Carrier and Shipper to download and use. It is the only app that supports sub haulers and trip leasing, as well as contracted and own vehicle deliveries in both the secondary and new markets. The application connects hundreds of carriers to thousands of drivers delivering single, multi-load and driven vehicles daily. In use by thousands of drivers, vinDELIVER is the simplest way for carriers to collect information. The application is an "add on" to your existing Transport Management System (TMS), replacing the paper POD with an 'electronic' copy or ePOD. vinDELIVER is fully OEM and shipper compliant. 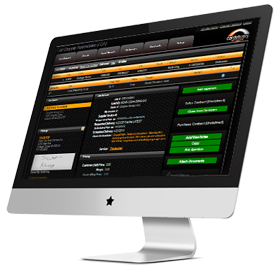 vinDELIVER also supports sub hauling and trip leasing ensuring your subcontractors are also ePOD compliant. So if you don't have an ePOD system or have one but now need to enable your subhaulers, download vinDELIVER today from the Google or Apple store. Instantly, create your own vehicle delivery marketplace using our free, comprehensive and centralized dispatching solution. Connect directly with the largest network of electronic Proof of Delivery (ePOD) enabled carriers in the US. Deal direct with the carrier and gain real-time delivery visibility, shorter deliveries times and no brokerage fees! vinYARD is a simple way for Shippers and Carriers to manage their inventory at storage points. Gain better visibility of your inbound and outbound vehicle movements using the first online low-cost Yard and Inventory Management system which incorporates the industry's first eGATE process. vinYARD enables road Carriers to exit yard facilities electronically and in real time without paper BoL's or load sheets which speeds up trucker gate exits and increases real-time inventory and damage accuracy for the Shipper and Carriers.